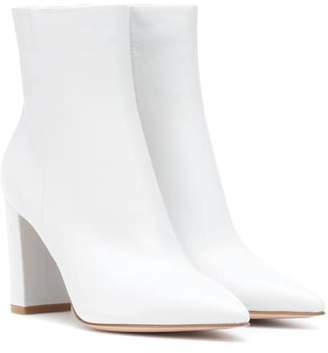 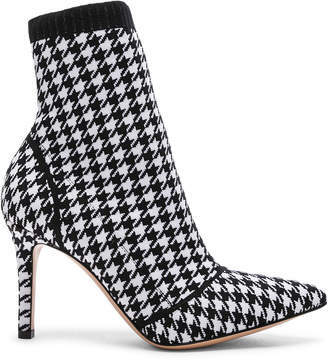 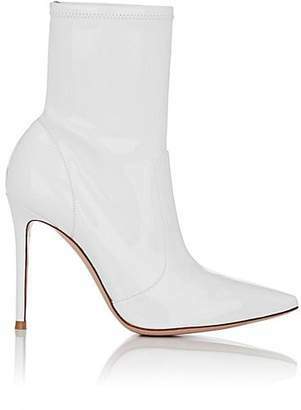 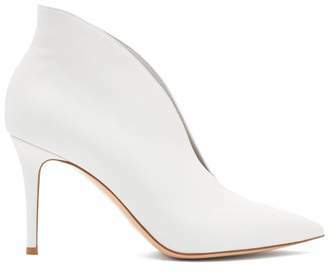 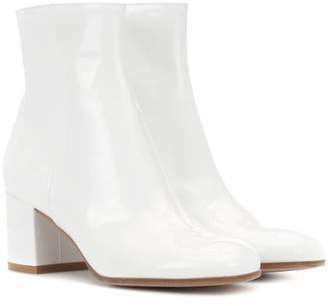 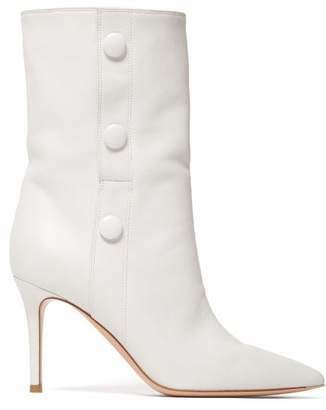 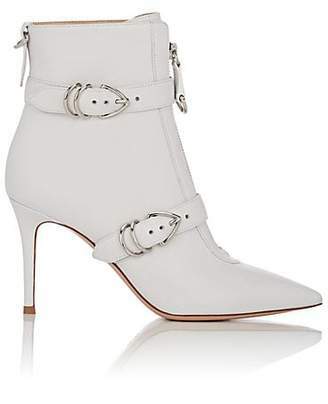 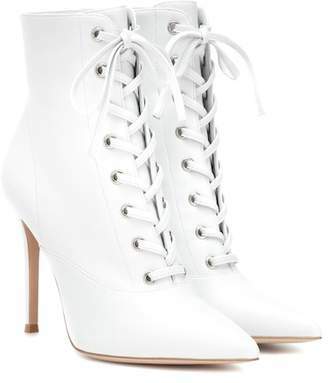 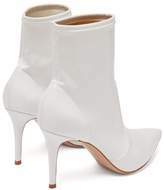 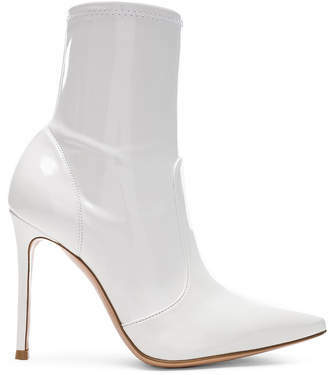 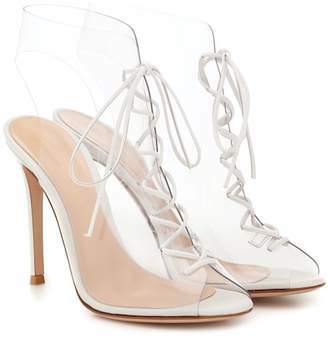 Gianvito Rossi - Gianvito Rossi brings effortless elements to sock-like ankle boots for AW18, as demonstrated with this white PVC style. 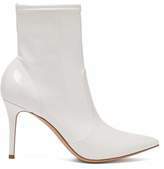 They’re crafted in Italy with a flattering point toe and a small stiletto heel, then finished with smooth leather panels across the vamp and heel. 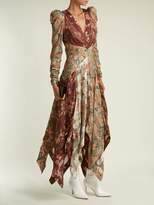 Style them with a silk blouse and tailored trousers as part of a smart day-to-night edit.